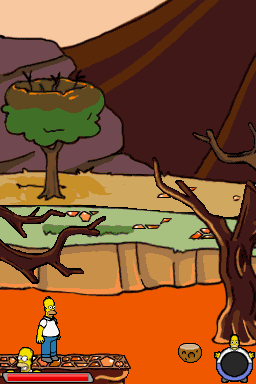 OverviewTeam up as Homer, Marge, Bart, and Lisa as you enter a strange and vast video game world, with parodies of popular series like EverQuest, Medal of Honor, and Grand Theft Auto. Popluar video-game characters such as Sonic and Mario have their own parodies too. 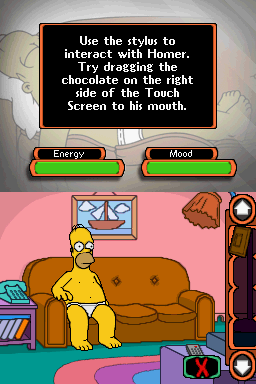 The Simpsons Game features a hilarious, sprawling, and mind-busting storyline crafted by the TV show's Emmy Award-winning writers. 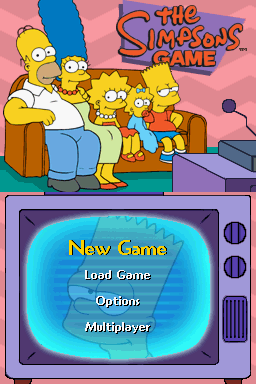 The action-comedy also features the full cast of voice actors from the TV show who reprise their roles for the game. 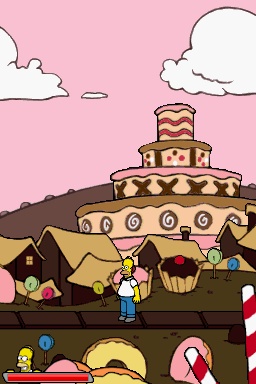 In The Simpsons Game, Homer, Marge, Bart, and Lisa use exciting, all-new powers to save the world from rising chaos. Now you can add videos, screenshots, or other images (cover scans, disc scans, etc.) 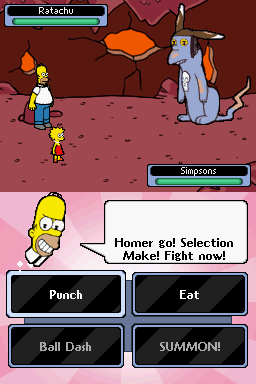 for Simpsons Game, The (U)(Micronauts) to Emuparadise. Do it now! If you haven't noticed yet, we have a retro game of the day feature (top-right of the screen) wherein we feature a new retro title every single day! Now, you can vote for your favorite games and allow them to have their moment of glory. 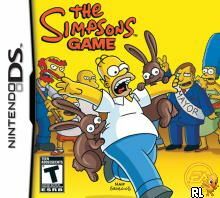 Click on the button below to nominate Simpsons Game, The (U)(Micronauts) for Retro Game of the Day.